Software FX - Chart FX, Chart FX for .NET, Chart FX Extensions Pack, Chart FX Gauges, Chart FX for Java, Chart FX for COM Hong Kong/Asia Distributor, Reseller | Cogito Solutions Ltd. Chart FX leverages the tremendous features of Visual Studio and provides developers unprecedented data visualization capabilities. Building from an already impressive feature set, Chart FX will offer unmatched IDE integration and innovative features that will set new standards in charting component technology. For over a decade, Chart FX has been deployed with many enterprise and commercial grade applications and Chart FX 7 adds to the already rich functionality available in previous versions of the product. 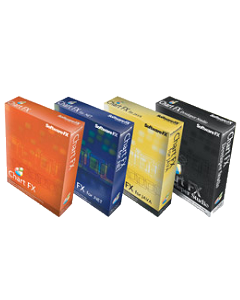 As always, Software FX is committed to providing the best possible support for all our products. With an extensive knowledge base, online articles, personalized support, community and more, you will find all the assistance you need to quickly integrate Chart FX into your application.